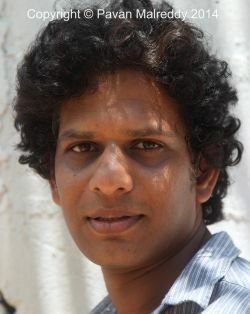 Pavan Malreddy has studied and taught Sociology, Anthropology, Development Studies and English Literature in the Netherlands, Singapore, Canada and Germany. His current research project focuses on the armed insurgencies in India, Burma and Nigeria. His research interests include 20th and 21st century literature, world literatures, discourses of terrorism, and the intersections of memory studies and postcolonial theory. 2018 ‘Global Responses to the War on Terror’ (with Michael C. Frank). European Journal of English Studies. 22 (2). 2018 ‘Cultures of Violence in South Asia’ (with Anindya Purakayastha)	Kairos: A Journal of Critical Symposium. 2 (1). 2015	Orientalism, Terrorism and Indigensim: South Asian Readings in Postcolonialism. Delhi; London: SAGE. 2015 (coedited with Birte Heidemann, Ole Birk Laursen and Janet Wilson): Reworking Postcolonialism: Globalization: Labour, and Rights. Basingstoke: Palgrave Macmillan. 2014	(coedited with Dieter Riemenschneider): “Arun Joshi: Avant-Garde, Existentialism and the West.” Special Issue of Journal of English and American Studies/Zeitschrift für Anglistik und Amerikanistik (ZAA) 62 (1). 2019 (Feb.) ‘The Novel of Burma.’ In: Alex Tickell (ed). The Oxford History of the Novel in English (vol. 10). Oxford: Oxford University Press. 2019 (Jan.) ‘Post-Secular Longings: Gurus in Hindi Cinema?’ In: Elmar Schenkel et al. (eds.) The Guru Challenge: Gurus in Literature, Culture and Politics. Leipzig: Edition Hamouda. 2018	(with Michael C. Frank) ‘Introduction: Global Responses to the War on Terror.’ European Journal of English Studies 22 (2): 92-102. 2018 ‘In a State of Indifference: A Conversation with Amit Chaudhuri.’ Creative Lives 4: 1-13. 2018 (with Anindya Purakayastha) ‘Cultures of Violence and (a)himsaic Historiography: the Indian Subcontinent, A Million Mutinies Again?’ Kairos: A Journal of Critical Symposium 2 (1): 3-15. 2017 (with Ana Sobral) ‘Violent Worlds: Three Readings from the Global South.’ Anglistentag Proceedings. Trier: WVT, 245-256. 2016 “Terror, Nation and Violence in Hindi Cinema.” Kairos: A Journal of Critical Symposium 1 (1): 1-27. 2016	“Solidarity, Suffering, and ‘Divine Violence’: Fictions of the Naxalite Insurgency.” In: Alex Tickell (ed.) South-Asian Fiction in English: Contemporary Transformations. Basingstoke: Palgrave Macmillan. 2015	“Post-Orientalism and Post-Multiculturalism in Contemporary Britain: Literary an Cinematic Representations of the London Bombings.” In: Sebastian Berg and Jana Gohrisch (eds.) “Postmulticultural Britain?” Special Issue of Hard Times 96 (Autumn): 32-35. 2015	“Labour, Pleasure and the Sublime: The ‘Work’ of the Dalitbahujans.” In: Pavan Kumar Malreddy, Birte Heidemann, Ole Birk Laursen and Janet Wilson (eds.) Reworking Postcolonialism: Globalization, Labour and Rights. Basingstoke: Palgrave Macmillan, 134-149. 2014	“Domesticating New Terrorism: The Case of Maoist Insurgency in India.” In: Douglas J. Cremer (ed.) “Terrorism: Reframing the Discourse.” Special Issue of The European Legacy: Towards New Paradigms 19 (5): 590-605.